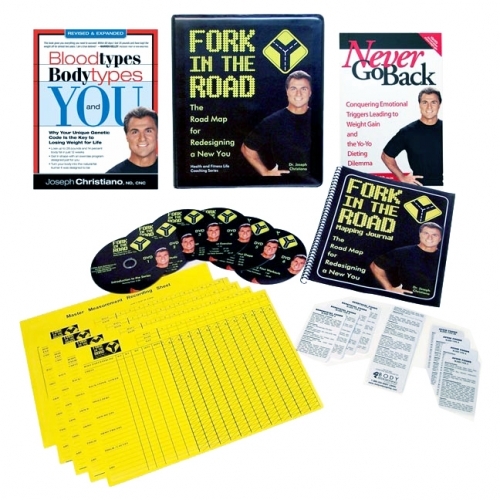 The Body Redesigning Healthy Lifestyle System (see: photo or video). In addition to your Healthy Lifestyle System, Dr. Joe will be coaching you every week from his Online Coaching Center to your computer for staying motivated to SUCCEED. Each session is approx. 10-20 minutes. After each coaching session, you will receive an e-mail the next day that re-caps the coaching session plus healthy tips, suggestions and motivation for SUCCESS! Basic concept behind diet / blood type connection. How to reach your ideal weight and keep it! Why certain foods are right for you to eat but not for others. How certain foods prevent you from losing weight. What to do to overcome health issues i.e. diabetes, elevated cholesterol, digestive disorders, colon problems and more. Exercising at home and redesigning your body. You receive 30% OFF all Body Redesigning nutritional products. 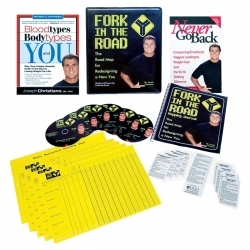 After you sign up, the Body Redesigning Healthy Lifestyle System will be shipped to you. You will also receive a login code to our Online Coaching Center. At your convenience, you can begin your weekly coaching session(s) w/ Dr. Joe.